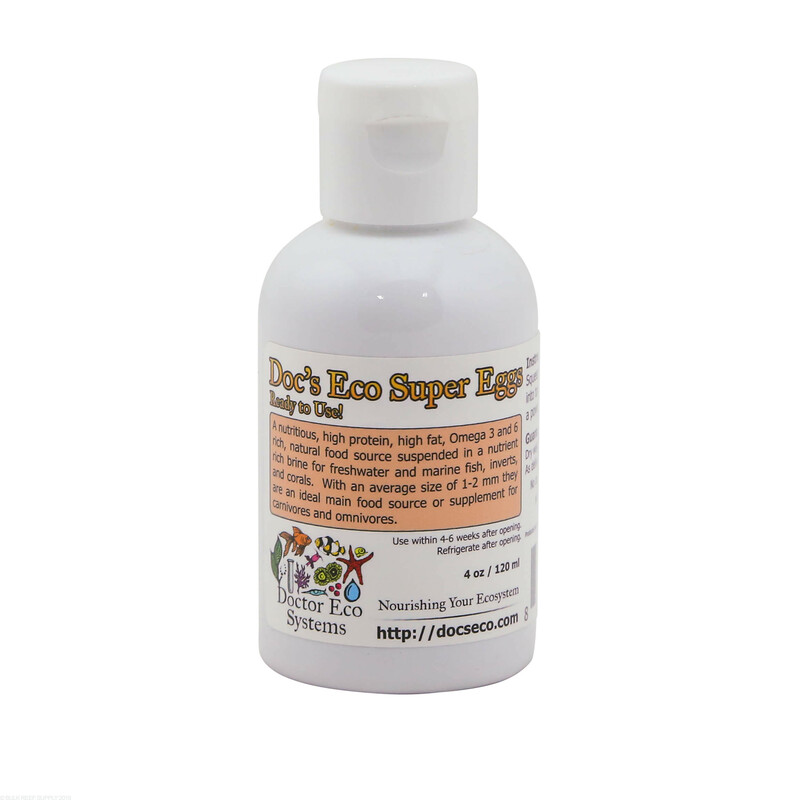 Can be fed to marine fish, corals, and inverts, as well as freshwater critters! My fish love this food. Easy to use every one of my fish eat the the eggs. My serpent starfish come scrambling out of hiding to try to get the eggs as well. This is a great product to feed my fish. I have various sizes of fish from tangs to anthias and they all love these eggs. I also raise Clownfish and my clownfish go crazy for this stuff. The egg brew they have is also an awesome product for corals. All of my fish go crazy for these eggs, even my anthias! This is one of the few foods my anthias absolutely devour! Will certainly buy it again! I've tried several different foods and this is by far their favorite. I’ve been added new fish to my tank and sometimes the new fish will not eat. This product has been great for enticing my new new fish to eat. Keep a bottle of this for when adding new fish. They will eat. 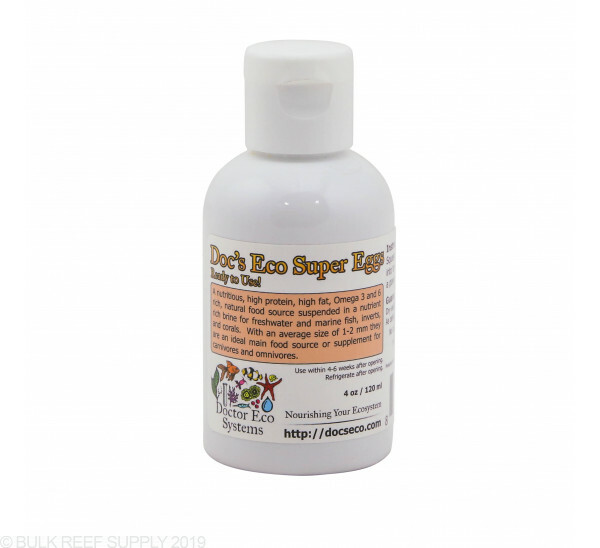 I like the ease of use for feeding my fish with the eggs plus is gives a different food source for them. I use the Super Eggs to feed my clownfish as the amount of protein in the eggs help them during breeding time. Been using this for a while now. Definitely My choice for fish food. I use this along with my powdered foods and everyone is happy. If you have Jellyfish use these eggs. My jellyfish love this stuff. My tangs enjoy the eggs. What I like about this product is the ease of use with just dumping in what my fish need. I've been buying the super eggs for a while now and my fish and corals love it. it truly is a feeding frenzy when the eggs go into the water. 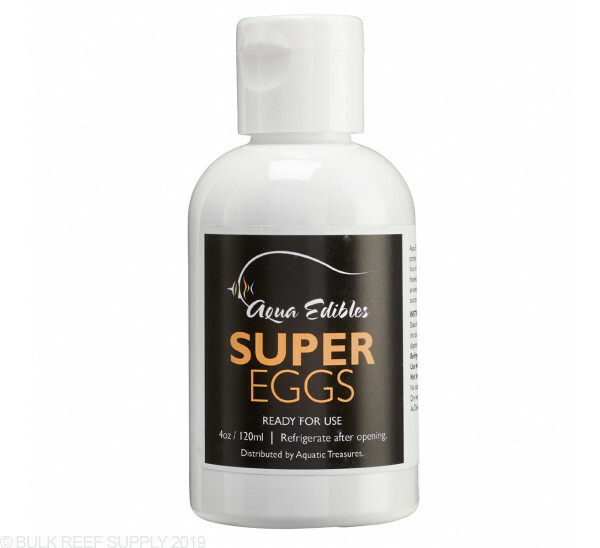 highly recommend Aqua Edibles super eggs. I never heard of this product and found it online and figured i would give a try. So far all my fish love this product. I have tangs, Lyretails and clownfish and they all go crazy for it. The bottle makes it easy to dispense each time i feed as well.